One common question that people ask is just how much you should be saving for retirement each paycheck. The answer depends on your retirement goals and when you plan to retire. The earlier you want to retire, the more you will need to save. Additionally how you want to live after you retire will determine how much you save. The more comfortable you want to be, the more you will need to set aside now. You do not want to solely rely on Social Security. It is essential that you plan for your retirement and that you have clear goals of how you want to spend that time. with the longer life expectancy for many Americans, retirement money needs to last longer than it used to and that means saving more and investing wisely. What Percentage Should I Be Saving for Retirement? An easy answer is to put a certain percentage away each month. If this is your method, then you simply need to put away a predetermined amount each month. Most experts agree that you should be working towards putting fifteen percent of your gross earnings into retirement each month. However, if you aren’t saving anything you can start by contributing up to your employer's match and then work your way up. Another easy way is to start by putting your raises into your retirement fund. If you are just starting to save for retirement and you are worried about finding the money start with five percent and then increase it each year until you reach fifteen percent. Are There Other Methods to Make Sure I Am Saving Enough? An alternative option is to calculate how much you will need once you retire. You should take into account how much you plan on traveling and the increased cost of living. Then, you need to determine how much you need to save each month to reach that goal. You can talk to a financial planner to determine how to invest this money. When you are in your twenties you should be more focused on contributing as much as you can, the early investment will pay off in the long run. This is even more important since the social security system will likely be adjusted by the time you reach retirement age. Remember when you do this calculation, you need to consider how much your investments will earn in interest each year in addition to what you contribute. A retirement savings calculator can help make the match a bit easier. 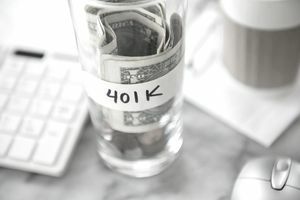 You may want to consider the retirement accounts that will allow your earnings to accumulate tax-free such as a Roth IRA and a Roth 401(k). Although these contributions are made after you pay your taxes, your earnings will be withdrawn tax-free, which will be substantial savings over time. You may reach a point where you have maxed out your contributions that can go into a traditional retirement savings account. When that happens you should invest your money in mutual funds that earn a good interest rate. This will help to spread your risk. Another excellent investment option is real estate, but you should only do this after you have maxed out your 401(k) and IRA options. What About If I Retire Early? If you plan on retiring early, you may want to put a portion of your savings into an alternate savings account. You will be penalized if you begin withdrawing from your IRA before you are 59 1/2. If you plan to retire before then, you will need to plan carefully and make investments you can use without accessing that account. Your retirement age for social security will be closer to 70, and so you will not be able to use that money if you retire early either. You should talk to a financial planner, who can help you find the best ways to invest some of your money so you can access it before you reach the retirement age requirement for your retirement savings. You should look for investments that will generate a steady income flow either through dividends or other means. As you grow closer to reaching your early retirement goal, you will want to switch to more conservative investments so that your money stays safe.